American Girl dolls were a cult-like phenomenon that seemed inescapable for any child of the '90s. In 1986, the first three dolls hit the market – Molly McIntire, Kirsten Larson and Samantha Parkington. Each girl came with a "meet outfit", including accompanying accessories and a paperback book – the total packaging cost around $100 per doll. The original three girls have since been archived, Kirsten being permanently taken off the market in 2010 and Molly in 2013. Samantha, however, was archived in 2009 but re-released in 2014 as a part of the company's BeForever line, where she can be purchased for $115. 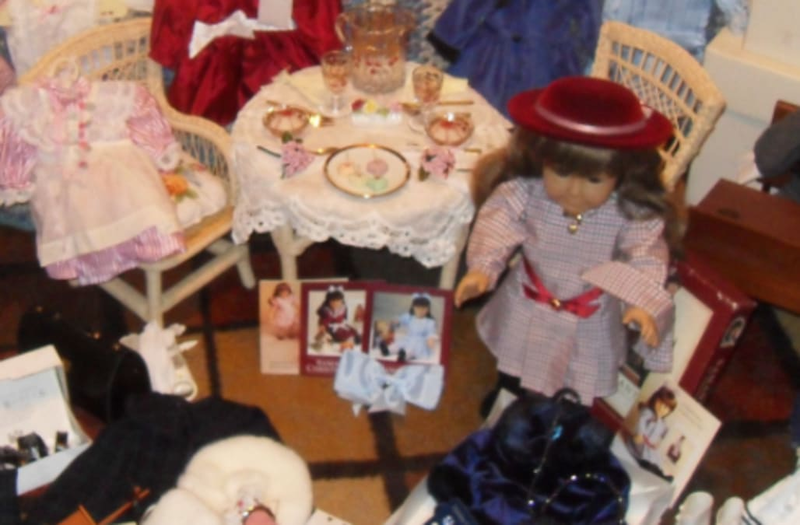 But perhaps the best part of having an American Girl doll was being able to purchase a multitude of outfits, accessories and toys that were specially made for each doll. If you happen to still own one of those original Samantha dolls, along with accessories and outfits, you might be sitting on a fortune worth a lot more than a doll-sized amount. This original Samantha Parkington doll, along with several outfits, sets and accessories is going for a whopping $4,200. 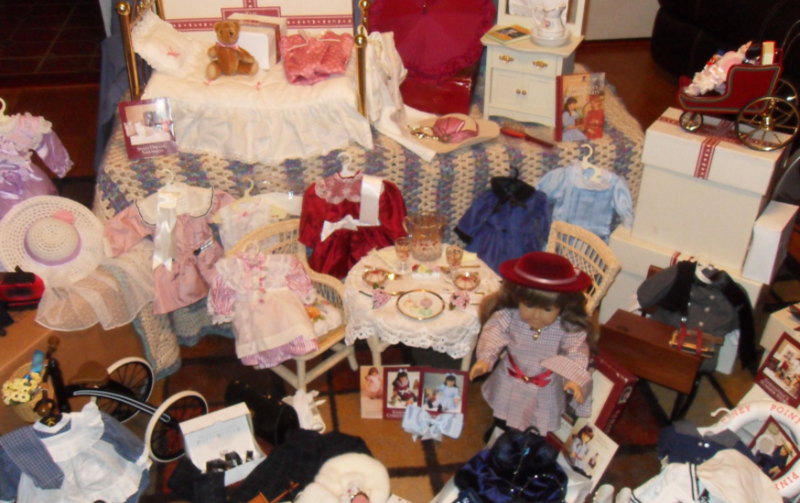 This set in particular includes several dresses and themed clothing items, as well as her bedroom set, school desk and tea table. Some items "need washing" and contain "minor wear" and "scratches", which have probably knocked the price point down – Imagine how much items that were still in pristine condition (not to mention Samantha's original "meet outfit") could fetch! So whether or not you own this entire lot, just a doll or just an accessory, it's clear that the demand for American Girl dolls is still as high as it was back in the '90s.